Acclaimed theatre director Sir Peter Hall tells Professor Anthony Clare of the impact of shyness and obsession on his life. Psychiatrist Dr Anthony Clare's in depth interviews with prominent people from different walks of life. Born in Dublin, author Anthony held a doctorate in medicine, a master's degree in philosophy and was a fellow of the Royal College of Psychiatrists. After becoming a regular on BBC Radio 4's Stop the Week in the 1980s, he became Britain's best-known psychiatrist and earned his own vehicle, In the Psychiatrist's Chair. Starting in 1982, this series ran until 2001 and also transferred to TV. Anthony Clare died suddenly in Paris aged 64 in 2007. First broadcast on BBC Radio 4 in August 1990. Cartoonist, writer and gallery owner Mel Calman talks to Professor Anthony Clare about the influences on his life. Psychiatrist Dr Anthony Clare's in depth interviews with prominent people from different walks of life. Born in Dublin, author Anthony held a doctorate in medicine, a master's degree in philosophy and was a fellow of the Royal College of Psychiatrists. After becoming a regular on BBC Radio 4's Stop the Week in the 1980s, he became Britain's best-known psychiatrist and earned his own vehicle, In the Psychiatrist's Chair. Starting in 1982, this series ran until 2001 and also transferred to TV. Anthony Clare died suddenly in Paris aged 64 in 2007. First broadcast on BBC Radio 4 in August 1991. Writer and civil rights campaigner Maya Angelou tells Professor Anthony Clare about the influences on her life. 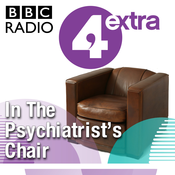 Psychiatrist Dr Anthony Clare's in-depth interviews with prominent people from different walks of life. Born in Dublin, author Anthony held a doctorate in medicine, a master's degree in philosophy and was a fellow of the Royal College of Psychiatrists. After becoming a regular on BBC Radio 4's Stop the Week in the 1980s, he became Britain's best-known psychiatrist and earned his own vehicle, In the Psychiatrist's Chair. Starting in 1982, this series ran until 2001 and also transferred to TV. Anthony Clare died suddenly in Paris aged 64 in 2007. First broadcast on BBC Radio 4 in September 1994. Sir Colin Davis explores the psychological aspects of life as a music conductor with Professor Anthony Clare. Psychiatrist Dr Anthony Clare's in depth interviews with prominent people from different walks of life. Born in Dublin, author Anthony held a doctorate in medicine, a master's degree in philosophy and was a fellow of the Royal College of Psychiatrists. After becoming a regular on BBC Radio 4's Stop the Week in the 1980s, he became Britain's best-known psychiatrist and earned his own vehicle, In the Psychiatrist's Chair. 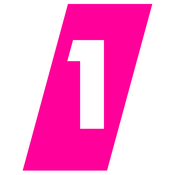 Starting in 1982, this series ran until 2001 and also transferred to TV. Anthony Clare died suddenly in Paris aged 64 in 2007. First broadcast on BBC Radio 4 in August 1994.